The Button Ship: Inventing crochet patterns? Since my last post, I've managed to cut out the waistcoat fabric and sew a few short seams. Nothing to write home about, since if I had an uninterrupted 30 minutes I could have the thing done by now! Gah. Never mind. I've counted my gauge with a 3mm hook and DK cheapo wool to be 2.2 rounds/cm and 2 stitches/cm in circumference. 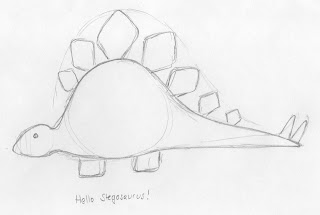 Now I'm going to divide my Mr Stego's body into rounds by drawing lines every 0.45cm (=1 / 2.2) and calculate the number of stitches in each one by measuring off my drawing. Then I'll set to with my hook and bravely try and accomplish this with a bit of trial-and-error to improve things. It'll be fun to see how it turns out and I'll be writing my stitch pattern down as I go along. Now I've published my drawing and idea on the interwebs, the final result will be a brutal display of crochet failure, I predict! ;-) Wish me luck! 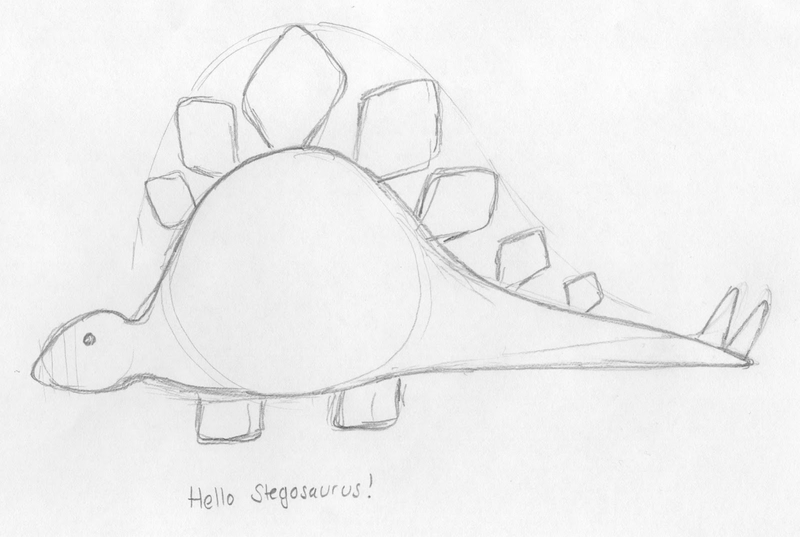 If it works, you get a free stegosaurus pattern. If it doesn't you get a laugh and I get a woolly duster.